Visiplex, Inc. is a U.S. based company founded in 1989. Since its conception, over 50,000 businesses and organizations have relied on our wireless systems all over the world. Our product catalog has evolved from wireless paging systems to two-way communications to emergency notification solutions. 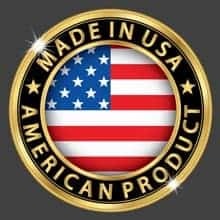 All Visiplex wireless systems are designed and manufactured in the USA. Visiplex is recognized worldwide as a leading manufacturer of wireless public address systems, break bell systems, two-way intercom systems and more. Each Visiplex order is uniquely tailored by our sales team to meet the needs of each client. We take pride in the quality of our systems and offer free lifetime technical support for all orders. Above, you can see a glimpse of Visiplex’s customers worldwide (color coded by market), include major universities, K-12 schools, industrial plants, commercial facilities, federal buildings, medical centers, assisting living centers, shopping malls, military bases and many others. Visiplex’s success is attributable to its ability to provide high-quality, cost-effective and innovative wireless solutions. Visiplex is backed by on-going engineering, sales and customer service, to improve operating efficiency and emergency response times. The Visiplex product line ranges from K-12 schools requiring simple bell systems to large universities and commercial industries needing complex wireless voice & data paging systems.